Valencia, the third largest city in Spain, is a perfect mix of old and new. The amazing beaches, the atmoshere, the wonderful architecture, and the numerous things to do in Valencia lure more and more turists each year. 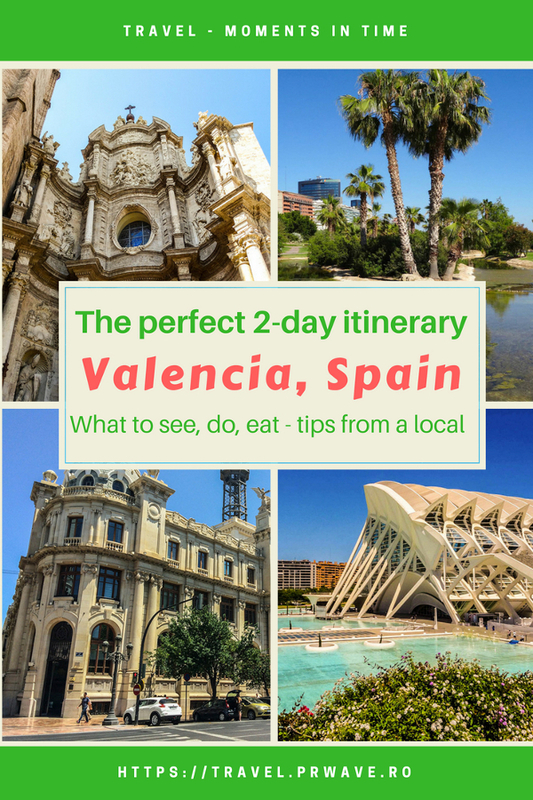 Here’s a travel guide for Valencia covering the perfect 2 day itinerary for Valencia Spain. 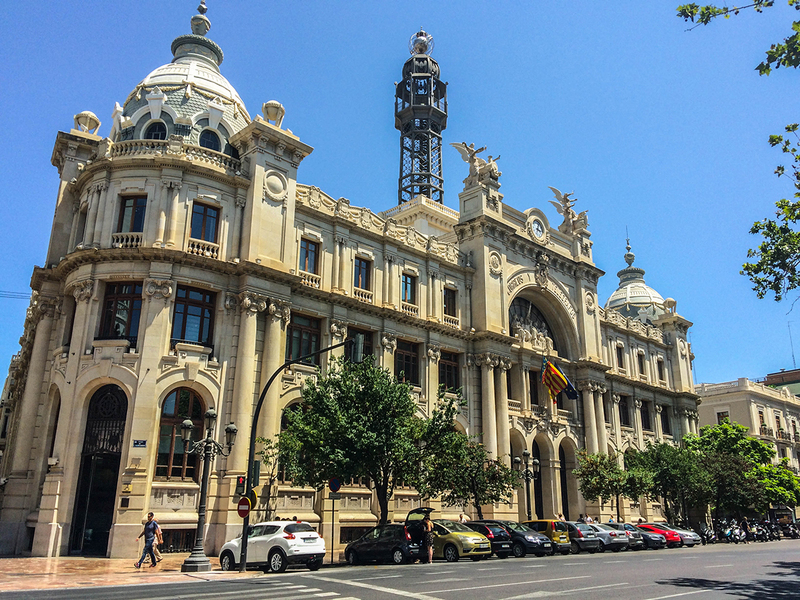 These recommendations of things to see in Valencia, what to do in Valencia, where to eat in Valencia are offered to you by Anna from Would be Traveller. 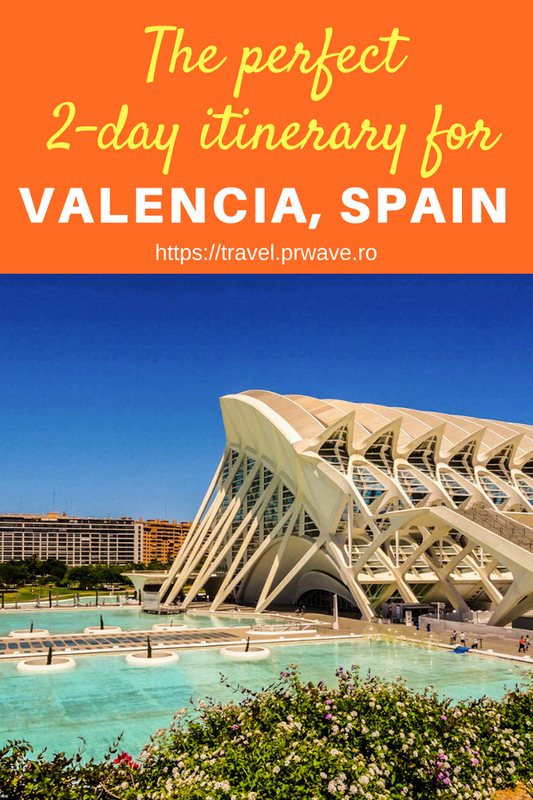 Use this travel itinerary for Valencia when planning your trip here. Move over Barcelona and Madrid, Valencia’s coming to steal your crown. 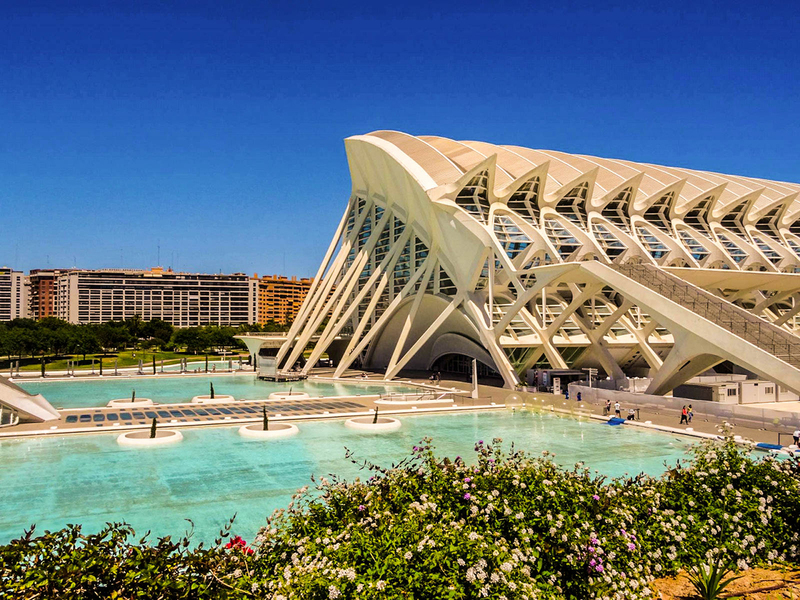 Yes, Spain’s third largest city is growing in popularity by the day as visitors learn just how beautiful, vibrant and interesting Valencia is. Located on the east coast just south of Barcelona, it’s in the enviable position of having both a beautiful beach and a fascinating old town. Because of this, there’s plenty to keep everyone happy for at least a couple of days. But what is there to do in Valencia? 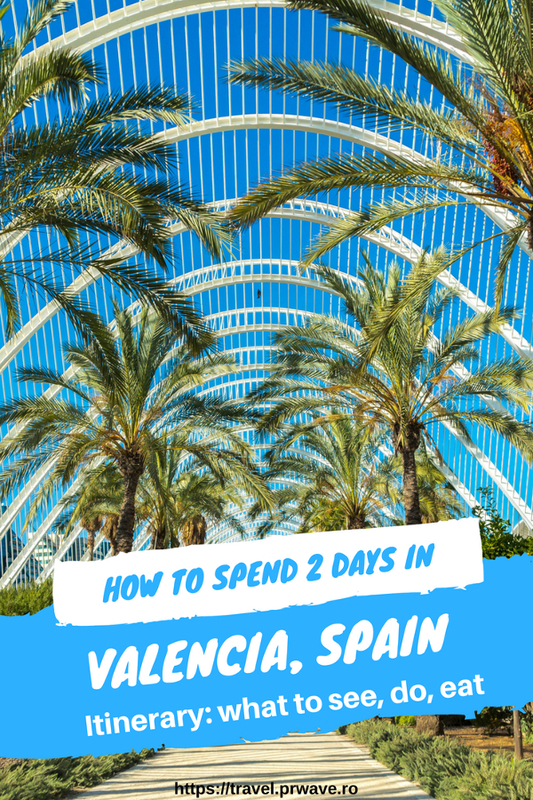 This 2 day itinerary for Valencia covers all the highlights as well as some hidden gems that you’ll be dying to visit by the end of this post. 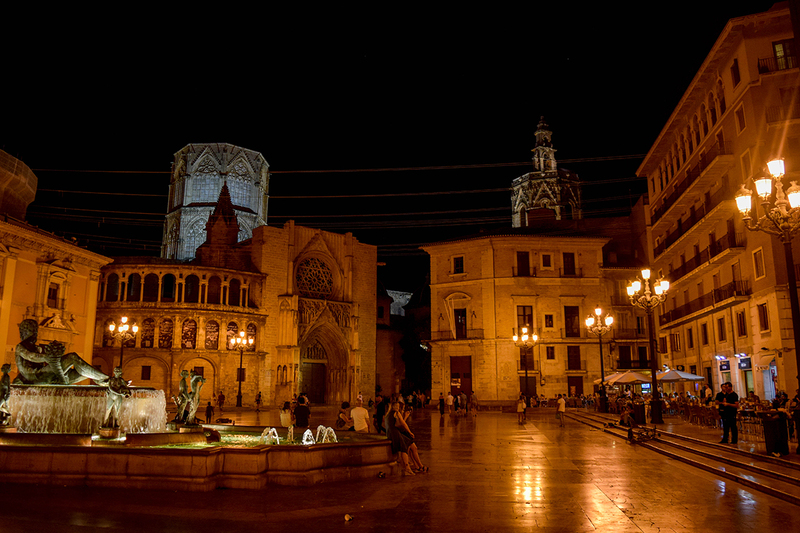 Check out this article to discover the best free things to do in Valencia. After your climb, you’ll need to get your energy back up! 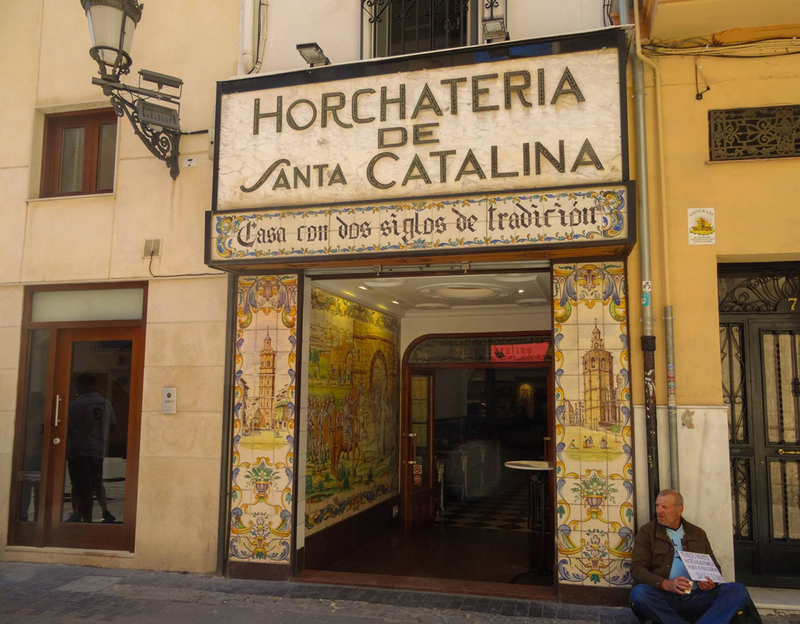 For this, head to Horchateria Santa Catalina, on the opposite side of the square to the Cathedral. Here you will find horchata – a deliciously creamy drink made from tiger nuts that was first created in Valencia. From the little cafe, they serve it up ice cold with light dough sticks called fartons. The idea is to dip the farton in the horchata, and then drink the rest before feeling completely and utterly satisfied. READ Holiday in Marbella anyone? Continuing the list of the best places to visit in Valencia, head to El Carmen. This is Valencia’s trendiest neighbourhood. It’s in the north of the Old Town and is a maze of alleyways, old buildings and squares. The area is fascinating to explore thanks to the juxtaposition of the old Medieval Tower Gates and city wall, and the modern street art, so keep an eye out. 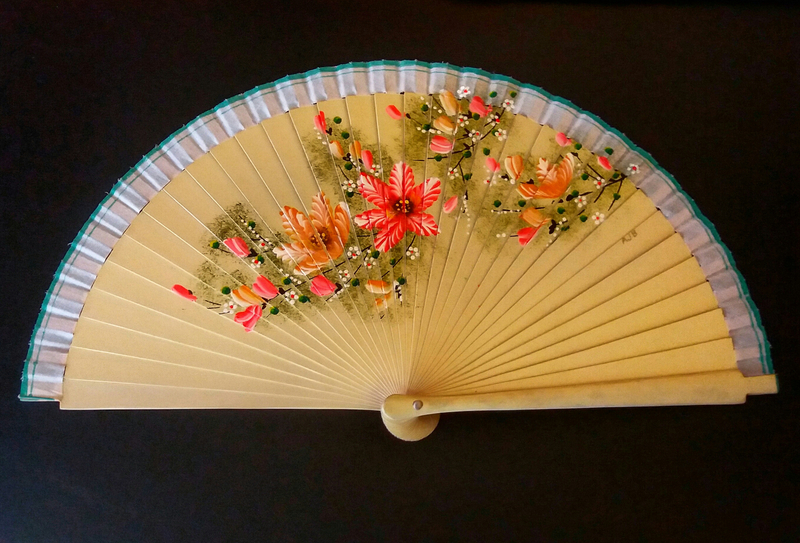 Valencia’s Central Market is full of souvenir shops and places to eat. Spend a while wandering through the aisles marvelling at the fresh fruit, vegetables, and other food. This is where the locals buy their groceries, and it makes a great place to people watch! Once you’ve worked up your appetite, pick one of the food stalls to buy your lunch. As you can see, there are many great places to eat in Valencia. Once you’ve got your breath back, it’s time to explore a bit more of the city just south of the Cathedral. There’s plenty to see in this area, from the Church of Santa Caterina, the Plaza Redonda (circular square! ), the narrowest building in Europe, the beautiful central station, the Ayuntamiento Town Hall, the Post Office and the bullring. There’s also plenty of shops and cafes in this area for you to have a snack. 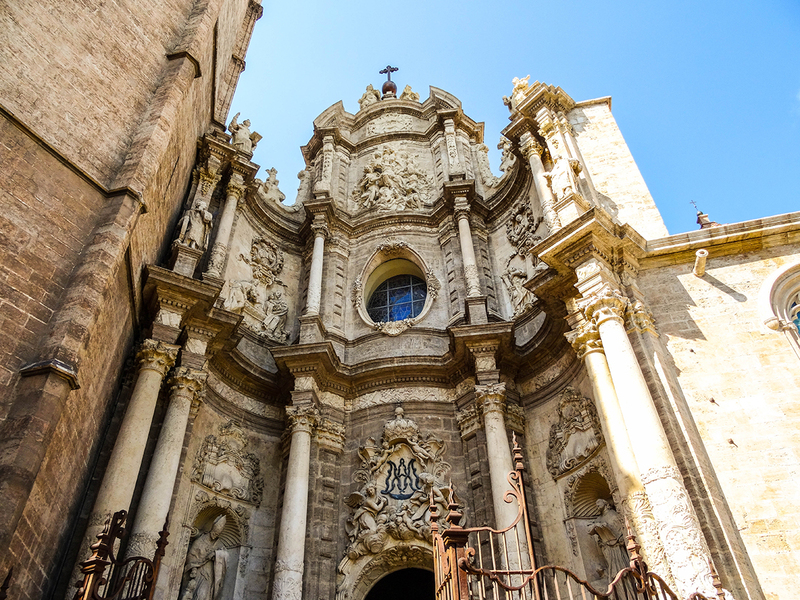 You won’t even know when time flies while admiring these spectacular attractions in Valencia. After your exploration of the Old Town, you must have worked up an appetite! It’s time to sample the wonderful Spanish tradition of tapas. 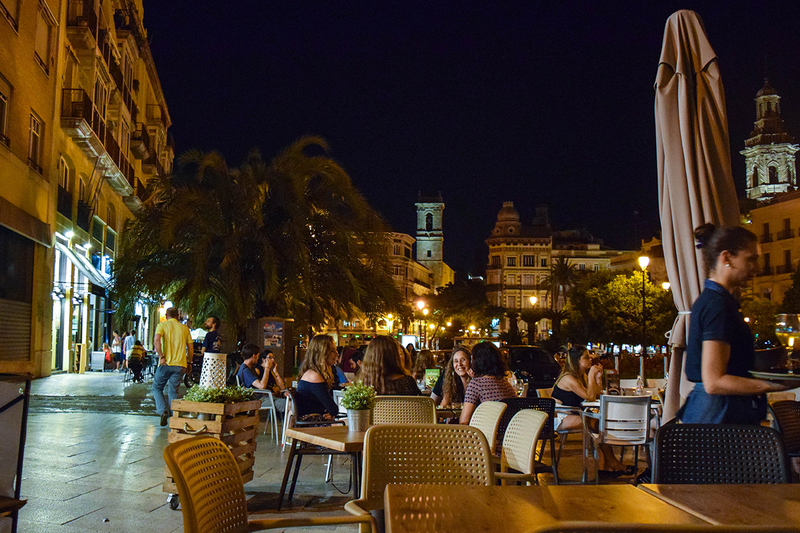 There’s plenty of choice in the centre of Valencia, but one of my favourite places to eat tapas in Valencia is Pico Fino on the Plaza de la Reina. Choose a table that overlooks the cathedral, and you’ll be treated to the most beautiful light display when the sun goes down and the lights go up. The food is tasty, modern and moderately priced, but the view is the best part. Forget sangria – Valencia is all about the Agua de Valencia! It’s a combination of gin, vodka, orange juice and cava, and it’s absolutely delicious. Most bars around the main squares serve it, so why not try a few and pick your favourite? This will become an unforgetable travel moment – and it is one of the top things to do in Valencia, so make sure to include it on your travel itinerary for Valencia, Spain. You’ll deserve a little bit of a lie in today if you had a few too many Agua de Valencias yesterday! But then it’s back to exploring. Pick up some snacks from a local bakery for your lunch later on, and then head to one of the Valenbisi stations to hire a bike. Spend the next couple of hours exploring the Turia. The Turia is the old riverbed that the council decided to divert outside of the city after a few disastrous floods. The riverbed is now filled with cycle paths and walking trails, gardens and parks. It’s easily my favourite part of the city and you could explore it for hours! That is why this is defintely one of the top things to do in Valencia. Don’t stay too long at Turia, as there are many more things to see in Valencia. If you’ve seen a movie set in the future recently, chances are they filmed some of it at the architectural masterpiece that is the City of Arts of Sciences. 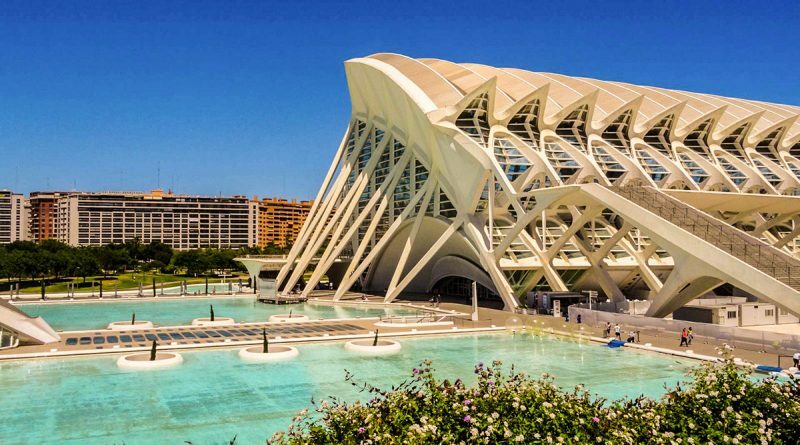 The futuristic buildings are beautiful and a must-see when you come to Valencia! You could pay to go inside the Science Museum, but most of the exhibits are in Spanish so it might be better to enjoy it from the outside whilst eating your snacks! 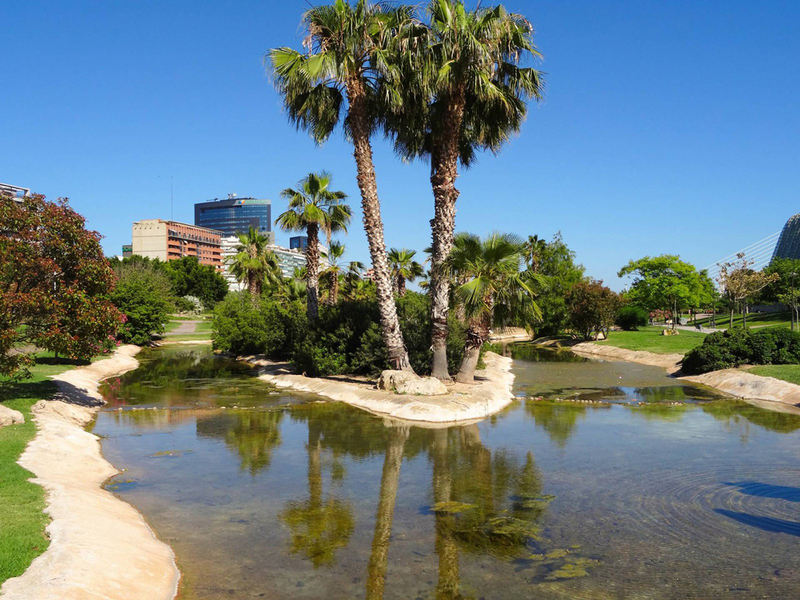 Valencia’s beach is a 5km cycle from the Turia riverbed. It’s a wonderful sandy beach that overlooks the Mediterranean Sea, and is the perfect place to spend the afternoon. 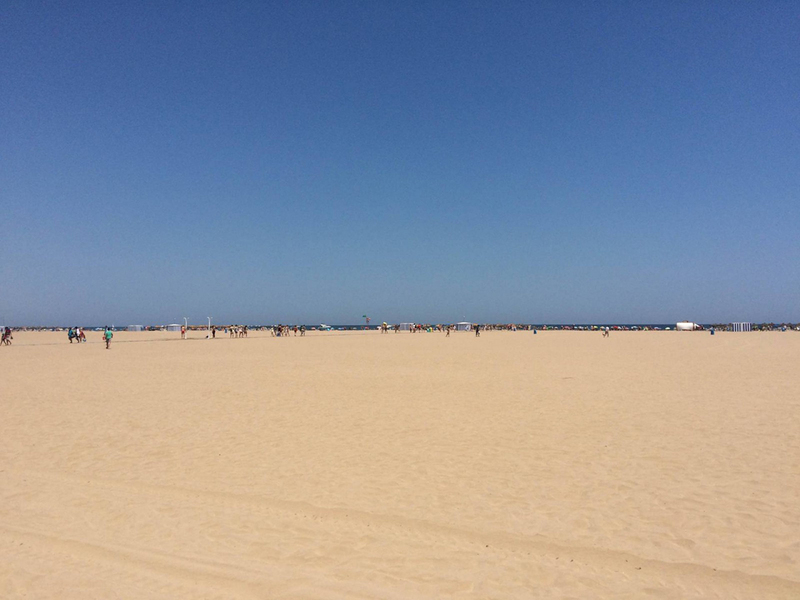 You could walk along the sand, go for a dip in the water, play volleyball, wander along the promenade or simply sit back and think about how wonderful Valencia is and how you never want to go home! Did you know that paella was first eaten in Valencia? Where better than to eat this very special dish than at one of the most famous restaurants in the city? La Pepica is very popular with locals, tourists and celebrities alike (Ernest Hemingway used to eat here!) The food is delicious and there’s plenty of choice, including vegetable paella, seafood paella and the traditional Valencian paella. Depending on the time of year you go, you could choose to eat on the sunny terrace overlooking the water, or inside in the beautifully light and airy dining room. There are plenty of bars along the beach front, so take your pick of places for a drink as the sun goes down. When you decide it’s time to leave the beach, please take a tram, bus or taxi back and don’t be tempted to cycle if you’ve had a couple of drinks! This itinerary covers the highlights of Valencia, but there’s so much more to see so why not spend a bit longer? 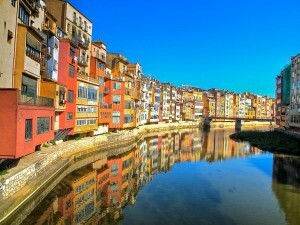 But now you tell me – if you had 2 days to spare in Valencia, where would you go and what would you do? I’d love to find more! 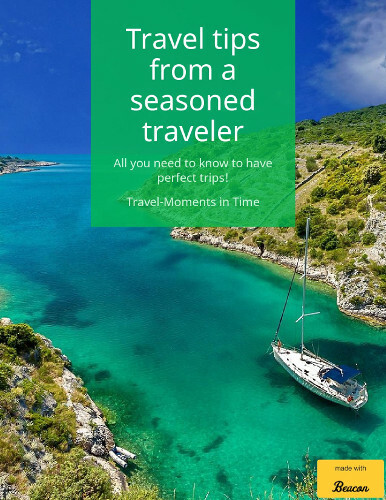 Anna blogs at wouldbetraveller.com where she focuses on ethical adventures, wildlife encounters and ways to get closer to nature. She loves everything about Spain, and has previously spent time learning Spanish at a school in her spiritual home and favourite city, Valencia. Check out her Instagram, Twitter and Facebook profiles for more! I really want to visit Valencia one day. Santa Catalina looks so nice and I bet the food is amazing! I’ve only ever been to Valencia to the airport enroute to Benicassim music festival but I’ve heard so much about it and this post is definitely making me want to go – even more so for Paella! Looking forward to checking out Catalina when I go! It looks like such a cute town! I love the beautiful old architecture!